I also created the trailer which was played @ 2015 Playstation Experience Keynote presentation. Animator @ Firebrand Games Studio! 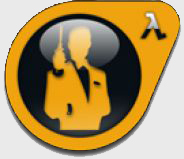 Working as part of the development team making the Golden Eye Source MOD! My all time favourite N64 game. Escape Studio MAYA CORE training course to gain industry standard training in Maya 2010. Justin Capes Animation Reel 2016 from Justin Capes on Vimeo. -Polygonal modelling, UV mapping, and skinning.